Keith Hart is Emeritus Professor at Goldsmiths, University of London. Part Two: Economics with a human face. Ecological economics (Sabine U O'Hara). Part Four: Beyond market and state. 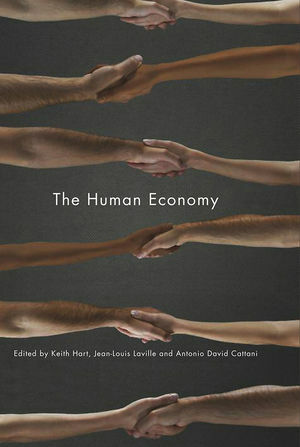 "With its interdisciplinary and cosmopolitan approach, [The Human Economy] gives a unique introduction into alternative ways of thinking about our economy that are rarely mentioned in public debates...This book should be compulsory reading for social scientists,especially economists." "A fascinating and very useful read for those interested in how to change the present crisis-ridden economic system." "Here, in thirty-two short chapters by an interdisciplinary and international group of scholars and activists, one can learn the basics of microcredit, feminist economics, corporate social responsibility, community participation, alternative energy, and digital commons (among others)." "This book is a treasure trove for everyone trying to bring the common good and democratic political agency back into economics. International in scope, imaginative in spirit, it brings together the diverse experiences and ideas that could make possible a transition to a social, ecological and democratic global economy. It is a rich resource for emancipatory politics." "For a nanosecond after the current financial collapse that threatens to engulf all, politicians, the media and decision-makers spoke of the need to build a new, humane, and needs-oriented economy. Quickly, analysis returned to how best to regulate capitalist profligacy, and restore old institutions, assuming this will return things to normal. This book, with its rich ideas and diverse examples, exposes the limitations of such thinking and traces the outlines of an alternative economic system with greater promise." A citizen's guide on how to create a new and more humane world economy, written for a wide general readership. The book lays out a radical alternative to the existing ways of organizing the global economy, putting the wellbeing of people and communities, rather than the profits of banks and corporations, at the centre. The volume includes over thirty original essays which address topics such as globalization, microcredit and corporate social responsibility. This book offers a creative and practical vision of an alternative way of organizing our social and economic life, inspired by the ideas of the World Social Forum at Porte Alegre, in which the editors and many of the authors have been active participants.